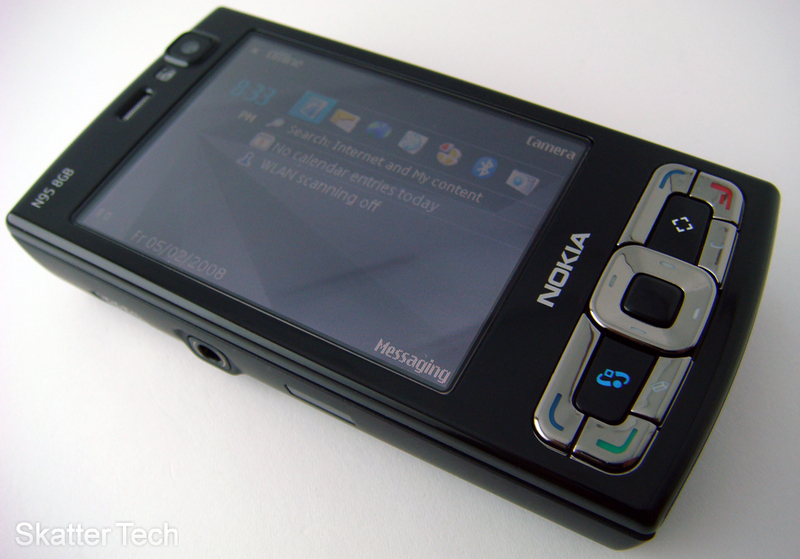 I recently got a hold of the brand new Nokia N95 8GB (N95-4) smart phone running the Symbian OS. This phone is the most powerful and feature packed phone I have used to date! It truly dominates the Apple iPhone on just about every aspect with features such as a 5 mega pixel camera, 3G enabled, GPS navigation, and plenty more. The only issue I ran into was getting comfortable using the interface since I hadn’t used a Nokia phone in ages. It’s not at all that I don’t like Nokia, but there really haven’t been any quality phones from them available through my service provider, Verizon Wireless. Despite that, the phone constantly kept me at the edge I kept discovering new things that it was capable of doing. From looking at the images, you’ve probably realized that this isn’t exactly the best looking phone. It’s a bit bulky and definitely doesn’t look attractive. Keep in mind the reason you are probably purchasing this phone is for it’s features. On the front of the phone you’ll find the large 2.8-inch display with four-way controls, send/end buttons, the left/right soft keys, and a couple other short cuts. Above the screen is the secondary camera with its flash for video conferencing and self-portraits. Sliding the screen up will reveal a numeric keypad while sliding it in the opposite direction will reveal multimedia controls. The power button can be found on the top of the phone while the mini-USB and charging connections are on the bottom. 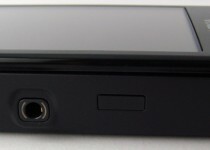 A standard 3.5mm headphone jack can be found on the left side of the phone besides an infrared transmitter. A volume toggle, media button, and camera key are all on the right side. The 5 mega pixel camera is on the back above the battery compartment which also holds the SIM card. The N95’s 2.8-inch screen can only display at a maximum of 320×240 pixels, but is extremely bright and sharp. Just about anything displayed on the screen such as the menus, photos, or videos all look wonderful. The screen also looks great out doors and glare isn’t as bad as it is on other phones. And for those of you wondering if the screen is touch capable, it isn’t. Although I felt it would have been neat for such a large, the control system is fairly easy to use once you get a hang of them. For a first-time user of the Symbian OS it took a little bit of time figuring out how everything in the phone work. But once you learn the general stuff, everything becomes quite easy. Just about every place you want to go in the phone such as the phone book, email, or browser are all individual applications. You can open them up and close them when you are done. Running too many at once can slow down or possibly crash the phone. Most of the apps have a similar layout. The left soft key just about always brings up a context menu of options to perform including quitting. The four-way pad is to browse through the menus and the center button is usually the ‘Enter’ key. The home screen is also quite informative as it displays shortcuts to the phone book, email, web browser, clocks, and camera. It also will show alerts, upcoming calendar events, connected access points, the time, signal strength, and battery life. Overall I loved it a whole lot more than the Windows Mobile OS which I dreaded to use on the HTC XV6800. I also discovered that the Nokia N95 had a built in Office Suite with support for Word, Excel, PowerPoint, and PDFs. I was able to quickly transfer a couple of documents onto the internal storage device with a USB cable then view them on the phone. Although the formatting on some them got distorted and others were slow to load, it would indeed be quite need to have these document views on a phone. To create new documents or modify current ones, you’ll have to buy the full $70 QuickOffice Suite. As for email, the phone supports the IMAP, POP3, and SMTP protocols. The interface is neat and easy to use. Push email is also supported by using the widely popular corporate Microsoft Exchange Server. 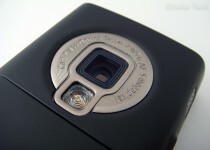 The Nokia N95 8GB has a 5 megapixel camera, which is the most powerful camera I have used on a phone. I only wish it had some optical zoom, which it didn’t. It does have a digital zoom, however this means quality is lost the further you zoom in. The phone takes photos quite instantly, however I noticed some lag when it tries to auto-focus and when saving the photos to the memory. The built-in LED flash is also quite bright and can easily make photos taken in under lit places a whole lot better. The quality of the photos themselves were pretty darn good. The colors looked natural in outdoor situations while the images were well focused and sharp. I was shocked to see how many options the camera settings offered. There were 6 scene modes including an Auto and a Custom option. The Flash can be turned off, always on, or set to reduce red-eye. There’s a self timer to take group photos. A burst mode to continuously take photos is available in addition to an option to take photos at a set time interval until the space runs out. 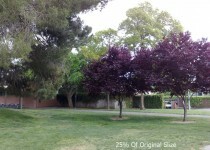 The color tone, white balance, sharpness, contrast, and ISO can all be customized as well. Moving on to the .3 mega pixel camera on the front, it is plentiful for video conferencing since too much bandwidth can’t be transfered anyways. The quality is incomparable to the camera on the back and barley any customization settings are offered for the secondary camera. Once again, the N95 beat my expectations regarding music, video, and photo management. Starting with music, I was able to immediately start syncing my DRM-Free Mp3s in Windows Media Player 11 with the Nokia N95 without any additional software. I was also able to manually drop music onto the phone’s mass storage device and the files were also automatically recognized if placed in the right folders. The phone supports playback of AAC, MP3, and WMA files. I loved the music player interface as it was quite powerful and allowed me to browse by Songs, Artists, Albums, Genres, and Composers. Browsing through was quick and smooth without any hiccups. And with a 3.5mm headphone jack I was able to use my own Shure SE210 earphones. The built in FM radio was also a neat addition in case you get bored listening to your 8GB of music! To make things even better the phone also has a built in podcasting client. I was quickly able to download and start listening to the latest episode of TWiT through my WiFi network. (Can also use 3G data network!) Moving onto Video, the phone runs Real Player which has an excellent 3GP and MP4 decoder turn it into a great portable media player. I was also able to playback iPod Formated movie trailers and even DiggNation episodes without needing to re-encode the content into a special format. Everything worked as it things should without any horrible twists. The Nokia N95 has a set of stereo speakers which was the best that I had seen on a mobile phone. The quality was clear and crisp. Even with the volume turned up to the max, it remained clear without beginning to crack like most phones do. The audio playback quality through the headphones was excellent. I wasn’t able to tell apart it apart from when playing the same song on my iPod Nano. I had a chance to play some demo games available on the phone and the quality was quite impressive. The graphics was much better than I had expected a mobile phone to have the power to handle. The games are by no means as good as those on the Sony PlayStation Portable, but are much better than games available for most mobile phones. The games seemed a bit pricey, but it’s still a plus that they are available for purchase and that the phone can handle and support playing them. The phone comes with all the standard functions of most phones on the market. These features include an excellent phone book with pretty much no capacity limit, speaker phone, conference calling, bluetooth headset with stereo support, speed dial, voice commands, text messaging, email, calendar, calculator, notepad, voice recorder, and more! With a 3G Network, Bluetooth 2.0, GPS, and WiFi (b/g) the phone is almost always connected to something. Despite this it has a impressively powerful battery and manages it’s power saving quite well with the ambient light sensor. The phone had better signal in most locations versus the phone I usually carry. Call quality was pretty clear and crisp. WiFi signal strength was quite strong as well. The Bluetooth in the phone supports more profiles than any phone I have ever used meaning that it should connect to just about any device you can think of. The phone also supports the new DLNA media sharing protocol so once I connected my phone to my home network, I was able to access music, photos, and videos on the phone from my laptop and even my Sony PlayStation 3. The N95 features an impressively powerful web browser. Sometimes web pages took a bit long to render, but in general they rendered a whole lot better than on most phones I have seen. I still feel the iPhone’s Safari browser is superior to this one in most aspects. However the N95 topples the iPhone’s browser in some aspects such as supports for the Flash player. This means YouTube and a whole slew of other streaming videos can be viewed from within the browser. The browser works by accessing either a WiFi access point or using the Cell Phone network, both of which functioned well. 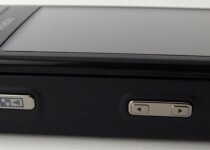 The Nokia N95 comes with a couple accessories in addition to the power supply. 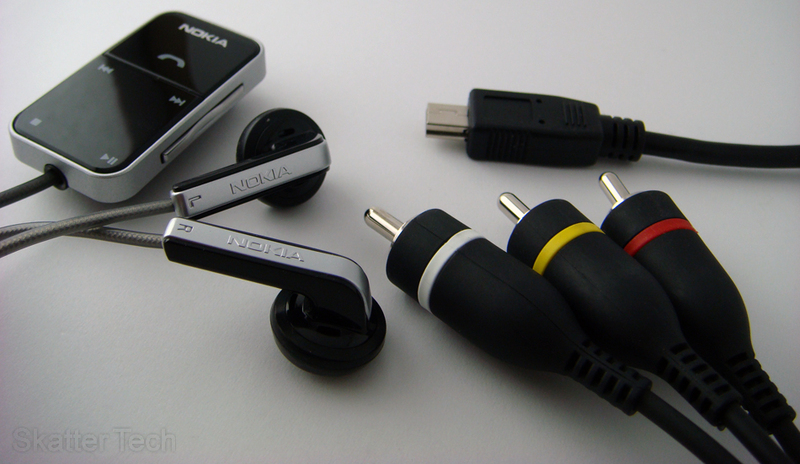 Nokia includes a USB cable for data transfer and syncing media. A pair of headphones and a small wired controller to control music playback. The phone is also capable of video output using the included composite cables. Other than that Nokia provides a CD with some software, a couple of manuals, and a quick start guide. For the price that this phone goes for, I wish they would have also thrown in a case. Overall the Nokia N95 is now one of my personal favorite phones. It is definitely not for everyone and most people will probably never get to using even half the features it offers. But for those who are looking for a high end smart phone, the N95 8GB will not be a disappointment. The only thing I felt that this phone lacked and that I should mention is the fact that it lacks a microSD expansion. Although it has 8GB of on board flash storage, it would have still been a nice addition. The phone offers more battery life talk time than most phones. With a powerful office tools and media playback tools the phone covers just about all grounds. The only downside might just be the high price of $600. The phone is currently not available through any service providers in the United States. However that doesn’t mean it won’t work here. You can just go ahead and purchase the North American version from a site such as Amazon. And for service, you can sign up to a calling and data plan from AT&T and insert the SIM card you receive. how can I transfer the last phone book (Nokia N73) to new phone book ( Nokia N95 8GB). How can i transfer videos in 3gp fprmat to my mokia n95 8gp? what kind of charger dose it take? Just a regular mini-USB to USB cable! So you can charge it with your computer! 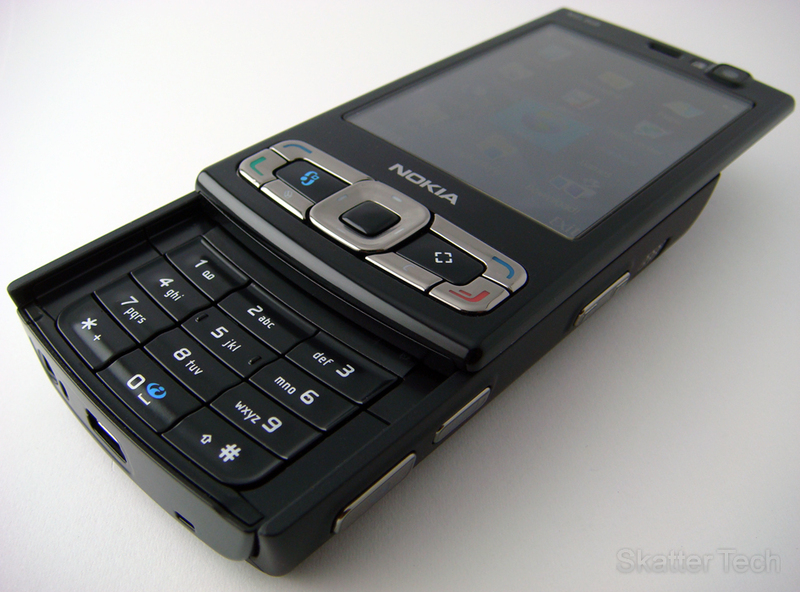 this phone same with n95?no different? It is very similar, but has a different colored body, some better hardware, and 8GB storage built in! @ wanttoberich: agreed. also the USB is USB 2.0, but only runs at “Full-Speed”, which per spec is 12 mbps. It’s very slow. USB 2.0 “Hi-speed” @ 480 mbps is what we’re all used to on other modern devices like the iPod. Compare xfering MP3’s with this phone vs. your iPod, and you will quickly hate this phone as a media device, and its lack of a removeable storage card. I personally feel Nokia was being intentionally deceptive by not clearly stating the bandwidth on the spec sheet, as most people see “USB 2.0” and instantly assume 480 mbps. @ Sahas Katta: you are incorrect. The phone does not charge this way. There is a separate connector for which you need the “Nokia” power adapter that is standard across their entire lineup. which one is better, N95 or N96? hi I am using n958gb mobile . I want to know how to insert the memory card please explain. thank you. i have the same problem, i want to know how to insert the memory card, because i already bought a Nokia N95 8GB, manufactured in China. i m using this mobile from last 3 years. this mobile is king of all the mobiles. one thing i want to know how front light sensor works.